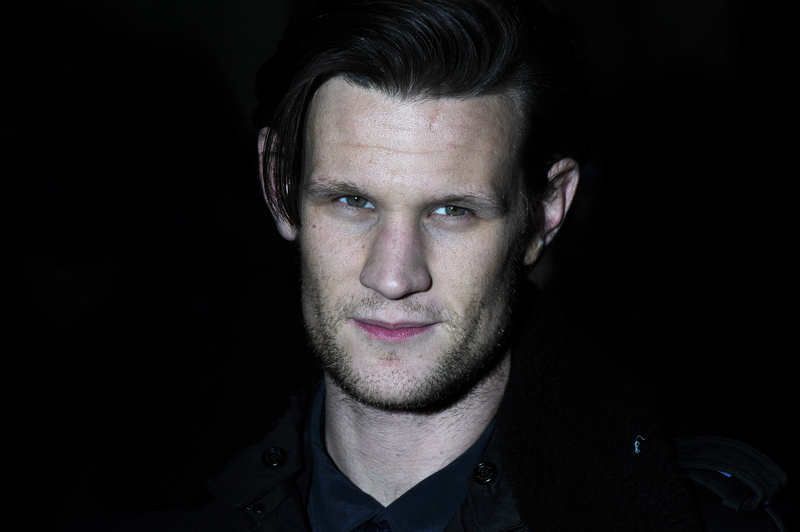 In their ongoing commitment to making TV (and the Internet) a happy place, Netflix has confirmed Matt Smith as a full-time cast member of their upcoming series The Crown, alongside Claire Foy (Rosewater) and Golden Globe-winner John Lithgow (Interstellar). In the series, which will deal with Her Majesty Queen Elizabeth II's decades-spanning reign over England, will star Foy as the legendary monarch and Smith as...wait for it... her husband, Prince Philip Mountbatten, Duke of Edinburgh. That's right, guys, The Doctor will now be an actual prince. It's OK to squeal, I know I did. Having Smith back on television in any capacity is good news. The man who was the 11th Doctor on the long-running BBC series Doctor Who has been busy making movies like Terminator Genisys and Pride and Prejudice and Zombies since he passed the title of Time Lord over to Peter Capaldi — but that is not nearly enough Smith for me. Having him in The Crown, a 10-part miniseries set to premiere on Netflix in 2016, is a huge deal. Not only is he playing Queen Elizabeth II's husband, he will also be starring opposite Lithgow, who is on board as Sir Winston Churchill. The series is a history buff's dream come true since it will span the Queen's decades-long reign, but, as a Doctor Who fan, it's all about Smith for me. This series is sure to show Smith's fans a side of him that they have never seen before. I know 2016 feels like a long way off, but it's OK to get excited about The Crown now. In fact, I am going to encourage it. Here are seven reasons to get psyched for Smith's turn as Prince Philip. There's not a ton of information available on The Crown yet, but it will definitely feature the beginning of Queen Elizabeth II's reign, so you know what that means... period costumes. Smith already made bow ties cool again, so just wait until we see him in a high-waisted '40s-era suit — or better yet, in uniform. Queen Elizabeth II and Prince Philip have quite the love story, and I have a feeling Smith and Foy are going to bring some serious heat to the royal couple. They're both amazing actors, and they are sure to have excellent chemistry. Prince Philip's history is fascinating. While The Crown will focus primarily on the Queen, it will be intriguing to watch Smith bring Philip's military history to life, as well as to showcase the nuances that come with the position of being husband to the Queen of England. Smith displayed an incredible range of emotions on Doctor Who, and I was always particularly fond of his serious scenes. I have no doubt Smith can play a reserved royal and still bring boundless energy and realism to the role. Prince Philip could not be in better hands. Lithgow and Smith are both amazing actors, and they are playing two of history's most intriguing figures in The Crown. Watching these two giants share scenes is going to be a treat for everyone. Missing Smith has become a fact of life for me. He brought such a unique spark to Doctor Who, that losing him felt like a major blow. As much as I want Smith to have a thriving film career, I am a TV fan first and foremost, so having another small screen Smith project on the horizon is better than Christmas. What? The Doctor is a time traveler, he could definitely be the Prince. Hey, I'll make my fun and you make yours. So...can it please be 2016 now?